Halfway into the NBA season it’s safe to say that Kevin Durant’s transition to the Golden State Warriors has been rather smooth. The Warriors currently hold the best record in the NBA, and Durant’s numbers are off the charts. Not only has Durant’s play been getting noticed, but his kicks have definitely been turning heads too. Durant’s next release, the Nike KD 9 “Home II,” will surely join his previously released sneakers as a fan favorite. Inspired by the Golden State’s “home” team uniforms, they feature a blue and white color scheme. Plus, they’re also equipped with Flyknit, Zoom Air, and intersecting lace loops that create a lockdown fit. 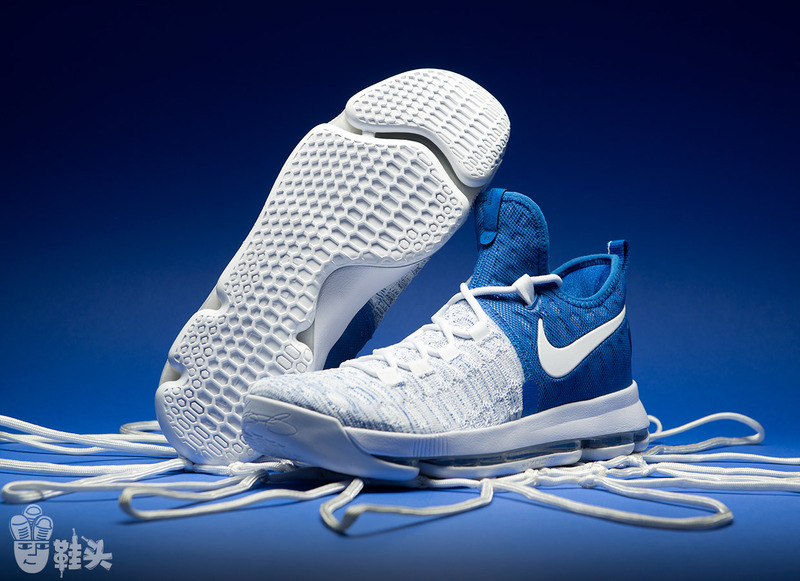 Look for this KD9 model dropping soon.